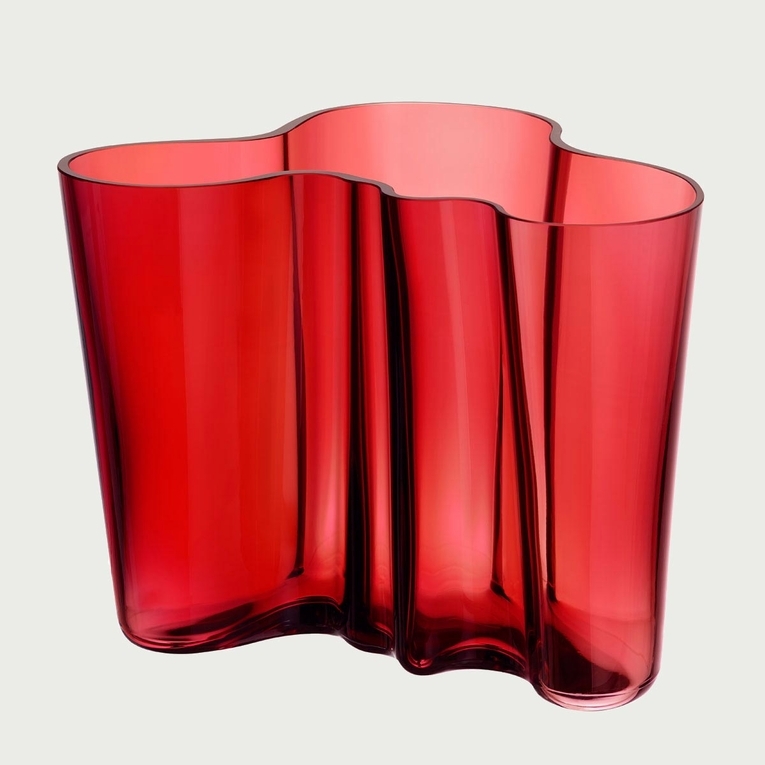 Home > Aalto Vases > iittala Aalto Cranberry Vase - 6-1/4"
Flowers will bunch beautifully in the iittala Aalto 6-1/4" Cranberry Vase, but its purpose far surpasses floral arrangements. Designer Alvar Aalto wanted to let the end user decide its use, whether that be to hold the paintbrushes of an artist or the marbles of an avid collector. 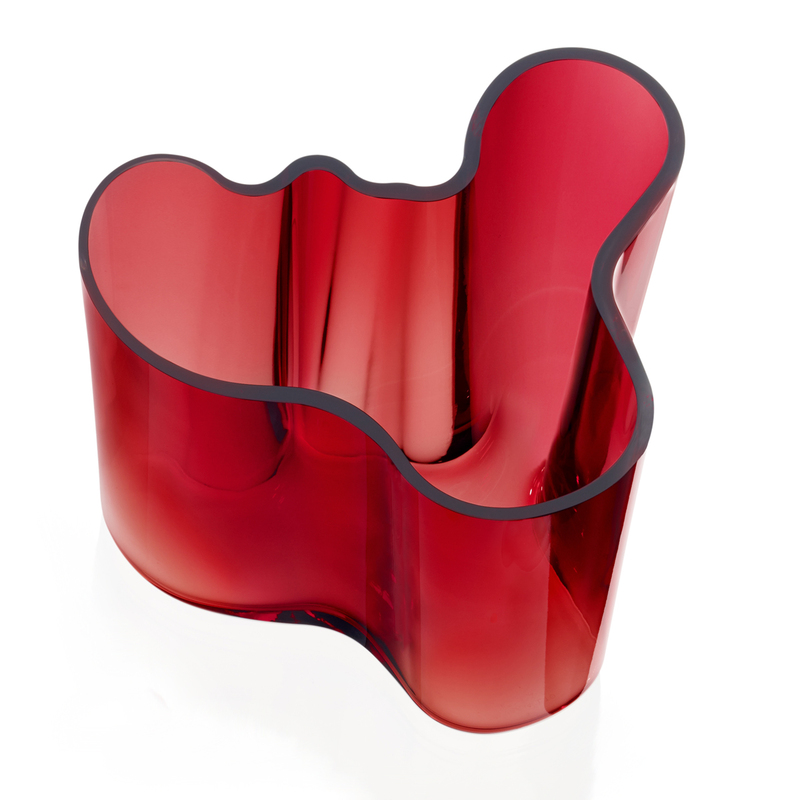 Perfect for the holidays and beyond, the iittala Aalto 6-1/4" Cranberry Vase is a rich and timeless treasure even when left empty.Since its unveiling in 1937 at the Paris World's Fair, the Aalto vase has been an international sensation. Its mysterious shape has been the subject of much speculation; some say it is based on Aalto's sketches entitled, "The Eskimo Woman's Leather Breeches." Others speculate that the fluid shape might be inspired by the lines of the Finnish landscape. Regardless of its questionable origins, one thing remains indisputable: its serene beauty. Reviews of iittala Aalto Cranberry Vase - 6-1/4"
Questions & Answers for iittala Aalto Cranberry Vase - 6-1/4"
iittala Aalto Rain Vase - 8-3/4"